Trout season if officially here at Lake Amador!!! 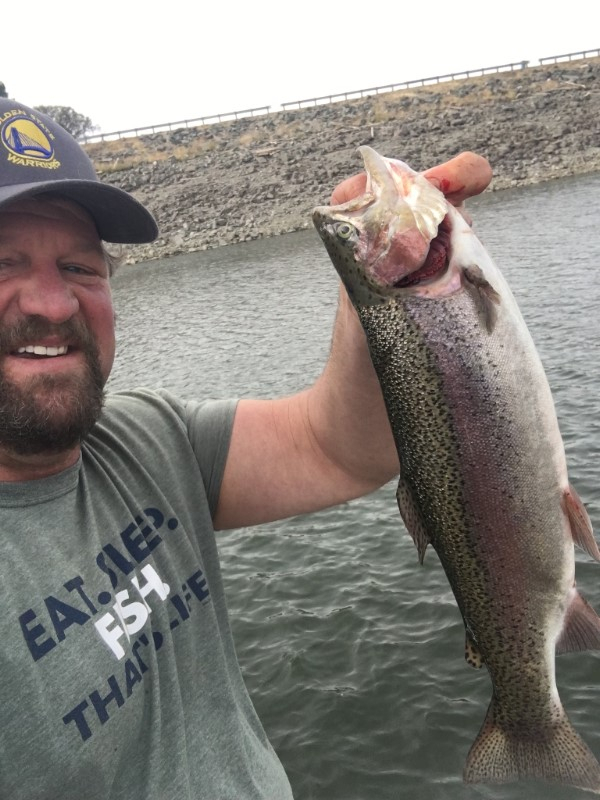 We started stocking our Donaldson Rainbows and some Lightning Trout last week with another 500lbs put in today, bringing our total stocked to 1,800lbs thus far! Fishing has been good with may reports of Trout being shallow and lures working great. Keep in mind its still early in the season and the warm weather probably isn't done, so they may go a little deeper. The main body of the lake has been doing great this last week. The Tackle Box Café has reopened for the year so come on down and get an awesome breakfast or lunch! Don't forget to check us out on Facebook for more catches and details!